An attic fan is normally mounted up against a gable vent on the side of the home. It’s function it to push out the hot air that would otherwise linger in the attic for hours. As the outside temperature drops, the air flow from the attic fan will gradually pull in cooler air through the opposing gable vents. 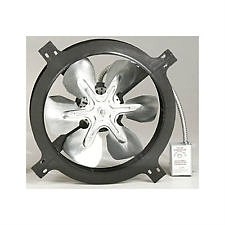 Attic fans can be installed in about an hour, and don’t require any roofing or stucco repairs. Utilizing a built in thermostat, attic fans themselves turn on/off at the appropriate times, and don’t require any maintenance. 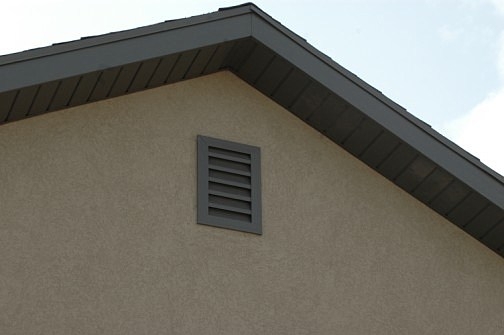 Any home with an accessible attic, and at least two gable vents, is a great fit for an attic fan. 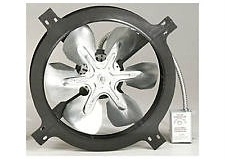 During hot weather, an attic fan will help shorten the amount of time it takes to cool a home at the end of the day. Upstairs bedrooms in particular, will feel a noticeable difference throughout the evening.